Glade Park off Grid living at its best! 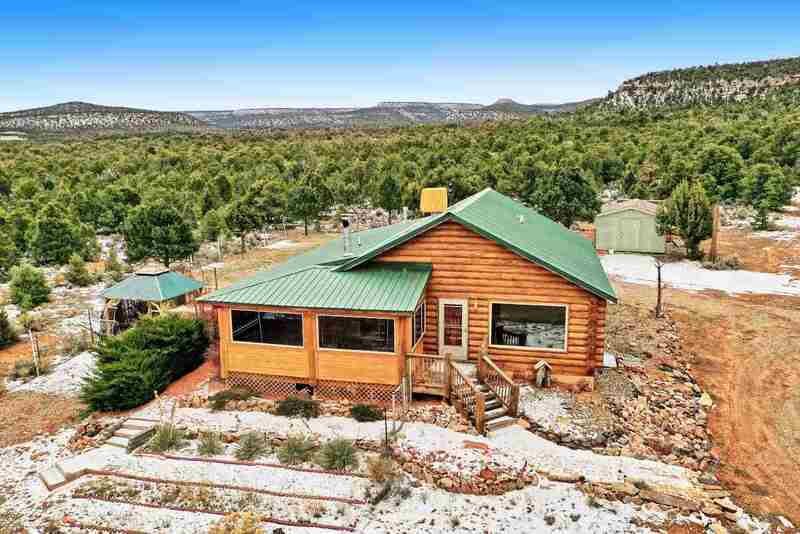 NO HOA on this 40 acres with ranch style log home. 1140 SF on main level includes: master bedroom, full bath, living room, Kitchen/dining, and large mud/laundry room. The almost completed full basement has two additional bedrooms, ¾ bath, living area, mechanical room and additional storage-This Sq. footage is not included in assessors records. Enclosed and open porches and covered pergola let you fully enjoy the outdoor living! Covered RV parking, 2 storage sheds, fenced yard and covered raised garden area. Good producing water well (7GPM), Very efficient OWNED solar system that also includes back up generator. Amazing views, loads of privacy, Verizon cell svs, land line and satellite internet make this the ultimate retreat or year round living! Aerial Map in Documents.